Update 3: ZodTTD, developer of several well-known emulators, recently met a similar fate as yongzh - both his Market account and his apps were removed. Today, he decided to clarify a few things in a blog post, noting that the removal of the apps was not due to an open source violation but rather came as a result of a trademark infringement letter from Sony to Google concerning PSX4Droid's icon. While yongzh did not publish any Sony emulators himself, it does seem that the big guys are taking an active interest in the emulator situation on the Market. Thanks for checking in. We don't provide comment on individual apps or developers. I can confirm, though, that the apps that were removed were in violation of Android Market policies. Update: There's actually evidence that yongzh repeatedly refused to comply with open-source licensing requirements in his emulators. There's a Reddit thread in which various commenters discuss the merits of that explanation. Thanks to those that pointed it out. This seems like an equally likely possibility. If you hop over to the Market and search for "emulator," you'll notice the mysterious lack of any apps by the developer "yongzh." After the PSX4droid debacle earlier this year (possibly over trademark infringement,) it seems the war on emulators is heating up once again. So why the emulator hate, Google? I think I may know why. Let's start with a little history lesson. 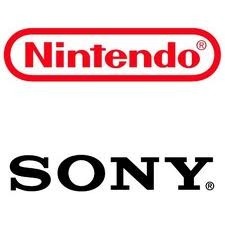 Accordingly, we conclude that Connectix's intermediate copying of the Sony BIOS during the course of its reverse engineering of that product was a fair use under 17 U.S.C. § 107, as a matter of law. With respect to its claim of copyright infringement, Sony has not established either a likelihood of success on the merits or that the balance of hardships tips in its favor. Sony's argument was knocked out a second time by the same court later that year. Since then, Sony has moved away from litigating against emulator developers - likely for fear that its lawsuits could be deemed frivolous if it continues to file them. No doubt, though, Sony is still busily crafting arguments against the emulation of its products should an opportune case emerge. And it wasn't all bad for Sony, either: both Connectix and Bleem were essentially bankrupted defending the lawsuits, and their products ceased to exist. Nintendo has never actually taken an emulator suit to court - but as this FAQ on Nintendo's corporate page makes clear, they're not big fans. Computer programs and video games distributed in formats that have become obsolete and that require the original media or hardware as a condition of access, when circumvention is accomplished for the purpose of preservation or archival reproduction of published digital works by a library or archive. A format shall be considered obsolete if the machine or system necessary to render perceptible a work stored in that format is no longer manufactured or is no longer reasonably available in the commercial marketplace. All in all, the basic rule is this: if you're going to emulate a modern console that's reasonably available to buy out in the marketplace, you can do it legally - so long as you aren't copying the proprietary BIOS (beyond what is absolutely necessary to ensure function - which is considered unprotected code) line for line. [T]he current availability of a game in stores is irrelevant as to its copyright status. Copyrights do not enter the public domain just because they are no longer commercially exploited or widely available. Therefore, the copyrights of games are valid even if the games are not found on store shelves, and using, copying and/or distributing those games is a copyright infringement. There's also quite a lot of people out there who would argue "abandonware" is an exception to this rule, and that's simply false. No video game (or even software) in existence which has not had its copyrights expressly released by the owner is in the public domain. It's still infringement, no matter how old the game is (copyrights last 75 years, no video game is anywhere near that age). Whew, that was a big sidetrack - but I think it was necessary to make the leap into discussing just why Google might be caving to demands of the likes of Sony and Nintendo in regard to emulators on the Market. There's no legitimate argument to be made that the sale of these emulators is for anything but playing ROMs. In the case of PlayStation, Nintendo 64, and other more modern consoles the fair use reverse engineering exemption in regard to BIOS does not apply. Nor can the ROMs of older systems which are no longer available qualify under that exemption for anything but strictly personal use (read: not distribution). Now, as you may know, yongzh's emulators did not ship with BIOS files - you had to "provide" your own. This is the main way the distribution of emulators is legally protected - no BIOS, no infringement (it's not a hard and fast rule - as you read above). But what is the likelihood that users are utilizing BIOS files that aren't pirated? Very low - while there are some "HLE" (high-level emulators) out there that simulate the BIOS functions of the console they're emulating, most basically require you to use ripped BIOS files. Then we get to the games. If you're actually ripping copies of your old (read: fair use-qualified, so not PSX/GameCube/Xbox/etc.) console video games into readable BIN format files, good on you - you're in the (vast) minority. If you're downloading ROMs from the internet, you are committing copyright infringement, plain and simple. Everyone does this. There's even an app for it. If you think you're using an emulator in a way that is protected, I would love to hear from you - seriously, write me an e-mail. The Android Market probably makes the best argument against the legality of emulators since the internet itself. Why? Because it's clear the software is being distributed for the sole purpose of playing illegally obtained games - not for research, security, education, or public archiving. The app descriptions themselves promote illegal behavior. Sony, Nintendo, and Sega all know this, and they're all probably very carefully making up lists of apps they'd like to see banished from the Market. Google, as the distributor of these apps, stands to get involved in the crossfire of renewed legal action against emulation - as smartphones are proving to be the biggest gaming platform to emerge since the videogame console itself. Guess who wants a piece of that market? Sony in particular, with its lineup of throwback PSX games now on the Market, has an interest in having these emulators removed. Google wants Sony's (and any other major console game company's) games on the Market - it provides huge brand association. Sony doesn't want to compete with piracy. Solution? Sacrifice - Google is probably having Sony and Nintendo's "dire" financial injuries caused by these emulators shoved down its throat on a regular basis (probably with veiled threats from Sony to move to another platform), and it sounds like that argument is starting to stick. Nintendo, on the other hand, is probably just plain threatening to sue. With its huge back catalogue of classic Nintendo games on the Wii, along with new titles on the DSi download store, Nintendo has a big interest in controlling the market for downloadable versions of its copyrighted content. Nintendo is also notoriously litigious in protecting its rights. Are yongzh's emulators the first of many that will be vanishing? Hard to say - only time will tell. All of this is happening behind closed doors, and it's only a matter of time before Google is going to be forced to speak up on this one. Thanks to Engadget for the news on yongzh.